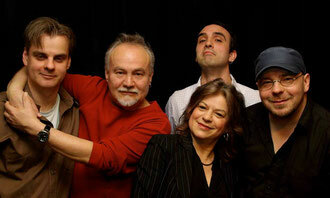 The Wayne Grajeda Band presents melodic, rhythmic rock with spirit, intelligence and passion. Performing primarily original songs with the support of an exceptional line-up of musicians including; Dirk Morning, laying down great grooves on drums, the solid and versatile bassist and humorist Thomas Hoppe, the strong and soulful vocals of Berlin singer Silvia Christoph and the “electric” playing of studio guitarist René Schostak. 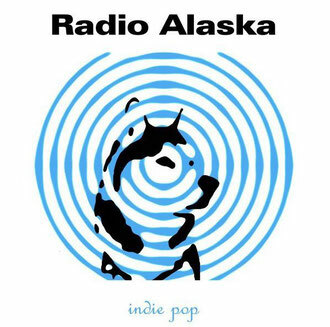 Die Musik Radio Alaska’s ist Indie, ist Pop, tanzbar und melancholisch zugleich. Ein Ton - ein Solo. Zartbittere Melodien fließen zusammen mit treibenden Beats. Elektronische Bissigkeit mischt sich mit kinderliedartiger Ironie. Darüber fließt ein Gesang, der in lakonisch-sonorer Bildhaftigkeit Emotionswelten durchstreift, dabei von der episch weltschmerzenden Delay-Gitarre und zuckersüßen Kaugummi-Synthies gerührt, geschüttelt, serviert wird. Dann von treibenden Basslinien das passende Spielgerüst bekommt, um im sicheren elektroakustischen Netz des Schlagzeugs zu landen. Zusammenhalt, Sinn für's Ganze. Ausgelassen. Versunken. Ist es Blauäugigkeit oder Glück, wenn man für eine Weile aufhört zu denken? 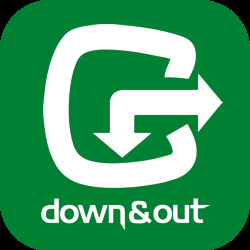 in the eighties a berlin art rock-band named CON-TACT impressed their listeners with catchy songs by mixing different music styles in an exciting and versatile way. this particular line-up split in the beginning of the 90s, but the songs remained in the former band-members' heads. years later, rené schostak, former guitarist of the band and ralf p. litzka, lead singer and frontman of the formation, came together and considered it worth paying a little more attention to some of these songs than only listening to old live-cuts or some of the few remaining eight-track-recordings. they considered how the original song material would turn out if it was revised by using modern sounds and by changing and supplementing arrangements without losing its attractivity. so both of them decided to work on a project involving a selection of con-tact-songs and began to re-record them. they called the project down&out and invited several guest musicians to increase sound variety. the goal of this project is the production of the cd A KIND OF CONTACT, which is meant as a kind of tribute to the interesting and creative time with the former band.